Want to Improve Your Smile? See what braces, teeth whitening, implants, crowns, veneers, bridges, cosmetic dentures…or even a complete dental makeover — can do for your smile. If you feel you can’t smile with confidence or there is there something about your teeth or smile that has always bothered you, we’re here to help. We can fill any gaps in your teeth with an implant, straighten or whiten your teeth, replace old fillings with tooth coloured ones and even alter the look of your smile with crowns, bridges, veneers or completely natural looking dentures. If you’re looking to find fabulous, fairly priced cosmetic dentistry in Preston; want a smile that will boost your confidence for years to come, look no further. Here at Adelphi Dental Care, we offer a whole range of cosmetic dental choices that can give you the natural, attractive smile you deserve. Simply call 01772 253 443 and we can arrange a convenient time for you to have a FREE chat with our smile adviser about how you would like to ‘change your smile’. You can also email us at smile-adviser@adelphidentalcare.co.uk. I have epilepsy and lost four of my front teeth in my 20s as the result of a seizure. 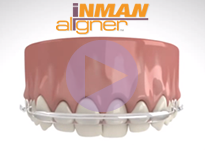 After my bridge became unstable, I was dreading the prospect of wearing dentures in my 30s. Having dental implants fitted has been incredible. I smile at my children now and almost cried when I ate an apple for the first time in 15 years! We’re here to help you with a friendly, caring team, flexible appointment times and a central, easy to reach location.